Austrian violoncellist; born at Prague April 21, 1855; a brother of Alfred Grünfeld. Educated at the Prague Conservatorium, he went to Berlin in 1876, and for eight years taught at the Neue Akademie der Tonkunst in that city. In conjunction with Xaver Scharwenka and Gustav Holländer (later with Sauret, M. Pauer, and F. Zajic), he arranged trio soirées which became very popular. 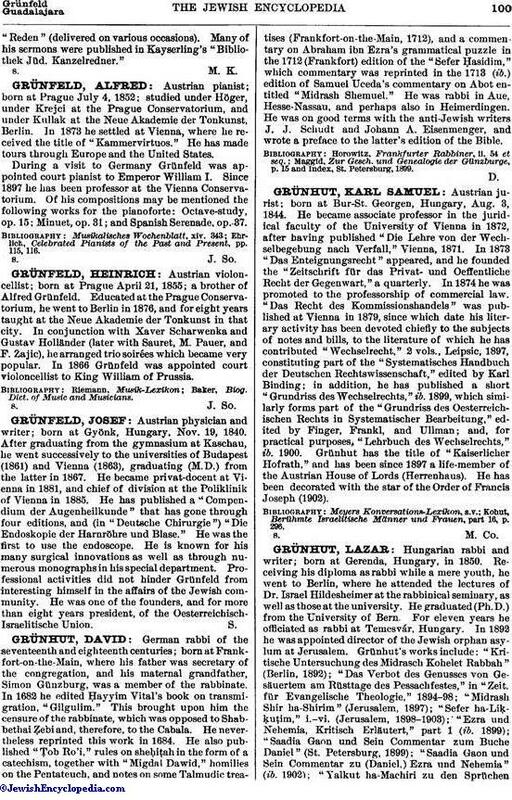 In 1866 Grünfeld was appointed court violoncellist to King William of Prussia.